Shrubs and hedges have deeper root systems than groundcovers and shallower root systems than trees. The average root depth of a hedge is 18 inches. Actual hedge root system depths vary. Improperly watered hedges, regardless of species, will develop shallow, ineffective root systems. Heavy clay and dense soil can also impact root system depth and development. Some species are noted for large, sprawling root systems while others are known for high wind tolerance and good anchorage. Hedge health depends on supportive root systems. Juniper is a narrow-leafed evergreen that is used as a shrub, grown as a tree and is also suited for traditional hedges. Juniper requires commitment on the part of the homeowner. Though the hedge is quick to establish, it is very difficult to remove. The root system is quite extensive, especially in mild climates where the roots grow continuously throughout the seasons. Juniper roots are capable of producing offshoots. If you plan on removing a juniper bush you will have to chop up the root system and remove it in its entirety. 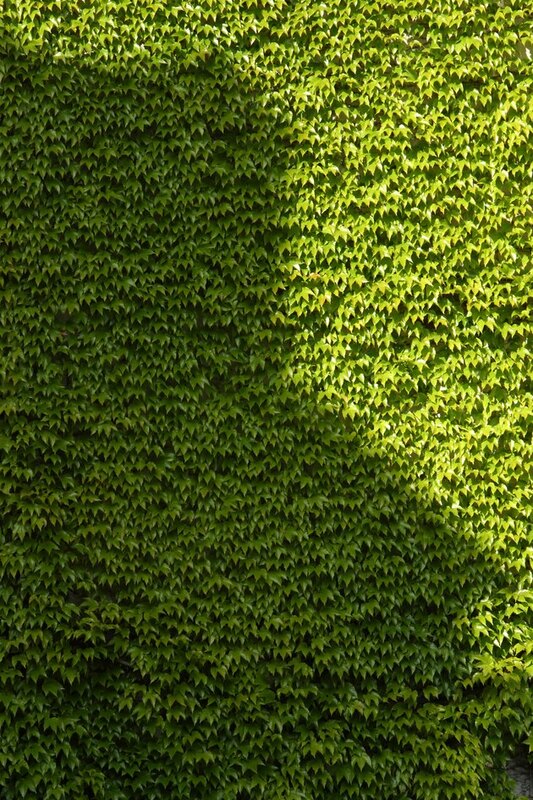 There are 30 species of boxwood in a range of shapes and sizes, from dwarf boxwood to towering 20-foot privacy hedges. Boxwood grows well in temperate climates and is found in residential landscapes, parks and other recreational areas throughout the American South. Tall hedges must develop deep root systems. Without adequate anchorage the hedges will topple. Encourage healthy root growth by planting your boxwood in holes that match the depth of the root ball. The soil should be well-draining but able to retain some moisture. Water boxwood well during its early years. Soil should be moist to a depth of 12 inches. Water deeply and infrequently rather than shallowly and frequently. This watering schedule encourages deep rooting. Lilac bushes are flowering bushes that are also used for hedgerows. Like other hedges the depth of the root system is at least 18 inches if the plant is established properly. Aside from deep watering, you may find it necessary to fertilize lilac early in its life. Slow release 18-6-12 fertilizers encourage healthy growth of the root system as well as the entire plant. Avoid fertilizing lilacs after they have become established as fertilizers will encourage leafy growth at a pace too rapid for the root system to support. Most hedges prefer well-draining soil and will not thrive when sited in water-retaining depressions or saturated soils. These conditions make hedges susceptible to root rot and other diseases. Before planting hedges, ensure that your soil drains well. Submitting soil samples for a soil evaluation is also helpful in determining your soil's fertilization needs. Hedges are sold in containers, bare root packages or balled and burlapped. Containerized hedges have strong root systems, but the root ball should be loosened to encourage spreading growth. Cut back bare root and balled and burlapped hedges to 6 inches from ground level. This allows root systems to establish without the stress of abundant shoot growth.